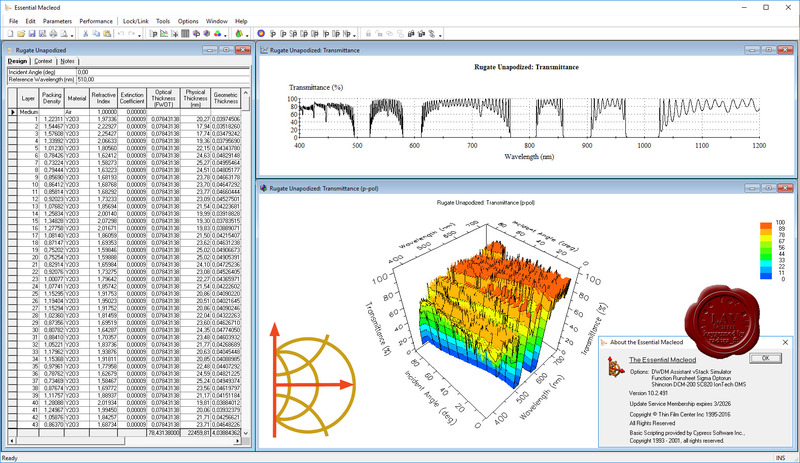 The Essential Macleod is a comprehensive software package for the design, analysis, manufacture and trouble shooting of thin film optical coatings. The program has a true multiple document interface. It can handle coatings from rugates to ultrafast, from single-layer antireflection coatings to demanding color separation beamsplitters, providing all that is necessary for their design, analysis, production planning and even reverse engineering of a failed production attempt. 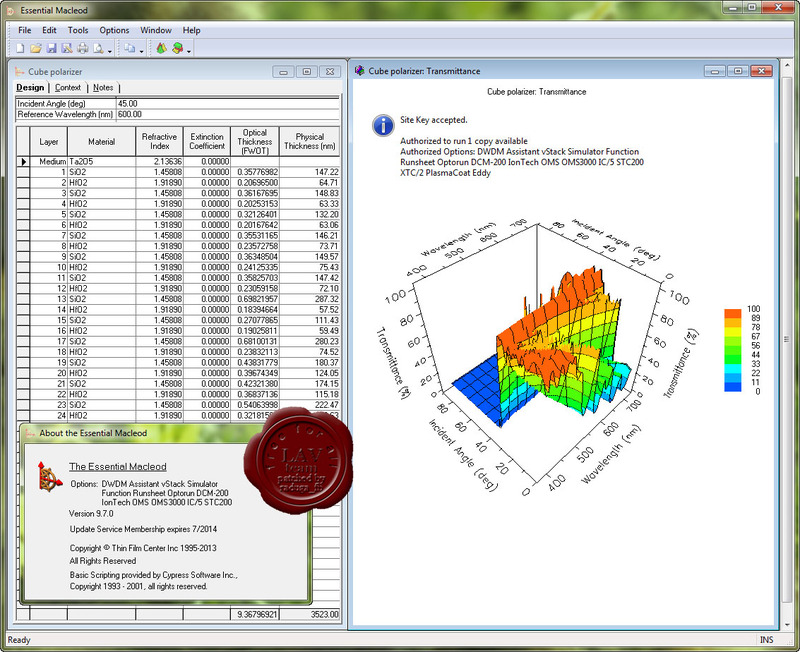 A wide range of performance parameters, from straightforward transmittance and reflectance to color coordinates in different color spaces, is built into the software. It can synthesize designs from scratch or refine existing ones, investigate errors and extract optical constants of film materials for use in designs. It consists of a Core that is its minimum configuration. The Core is supplemented by a number of optional Enhancements that extend the capabilities in various directions.